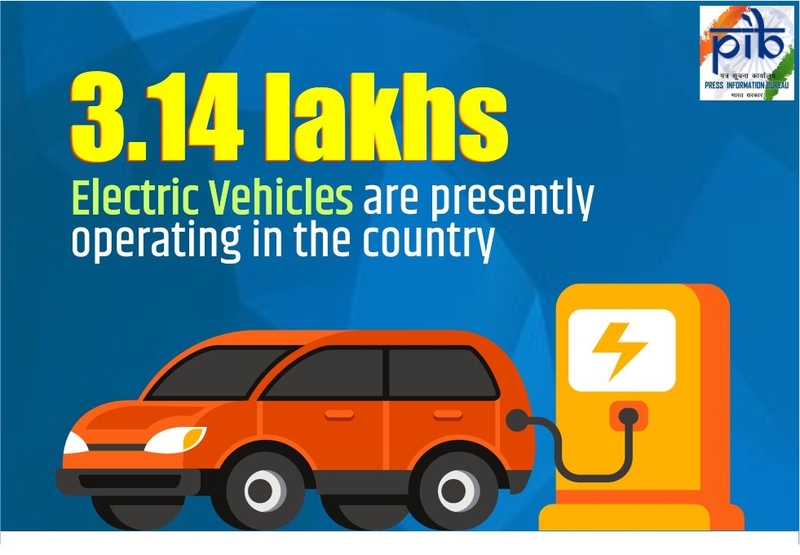 Feb 11, 2019 (WTN): Around 3.14 lakhs electric vehicles are presently operating in the country and Central Government has taken various steps to encourage the use of electric vehicles and charging infrastructure for electric vehicles. Minister of State for Road Transport and Highways, Shipping and Chemicals & Fertilizers, Mansukh Mandaviya informed in a written reply to the Lok Sabha earlier. He also informed that Govt has initiated Skill Development Program under RPL (Recognition of Prior Learning) scheme to train construction workers in the highway sector. Workers are to be trained for Highway Projects costing more than Rs100 Crores. Under this program, 95,000 workmen have been registered till date and 82,000 workmen have been trained in 6 trades i.e. Masonry, Bar bending, Scaffolding, Shuttering/ Carpentry, Plumbing and Painting. Mandaviya also informed the House that around 3.14 lakhs electric vehicles are presently operating in the country. The Government has taken various steps to encourage the use of electric vehicles which include exemption of battery operated vehicles from the requirement of permit, green background of registration plate of electric vehicles, allowing retro-fitment of hybrid electric system or electric kit to vehicles running on petrol and diesel and issuing guidelines & standards for charging infrastructure for electric vehicles. The increased number of electric vehicles will not only cut the cost of precious fuel but also save the environment from pollution.